The NeoCel research project develops innovative and techno-economically feasible alkaline processes for sustainable production of high quality textile fibres from reactive highcellulose pulps in connection to pulp mills. As the world population continues to grow, so does the demand for textile products. The market share of the currently dominating type of fibres, oil-based and cellulose-based textile fibres, polyester and cotton, is eventually expected to shrink or stagnate due to price and sustainability issues. The only fibre type with potential for long term increase in production volumes is man-made cellulosic fibres. Today, the traditional self-standing viscose process is the dominating technology for the manufacture of man-made cellulosic fibres. Environmental and occupational issues related to viscose process in Asian factories, accounting for almost 80% of the global production of man-made cellulosic fibres, are considerable. Development of economically and technically feasible regenerated cellulose process technologies based on renewable raw materials is therefore necessary in order to satisfy future global textile fibre demand in a sustainable way. Water-based cold alkali fibre manufacture, together with recent advances in production of reactive cellulose pulp from wood or recycled textiles have a high potential for fulfilling the above criteria due to lower environmental impact and availability of sustainable raw material sources. At the same time, the European pulp and paper industry is actively searching for new revenues due to reduced paper consumption and to the global competition from South America, Asia and southern North America, where both forest growth and pulp production capacity are much higher. A new cellulose dissolution/regeneration process, combined with extensive pulp mill integration could be the key for better environmental and economic performance of textile fibre production. Such a process would also offer interesting business opportunities for pulp mills, promoting the revival of ,pulp and paper industry in Europe. 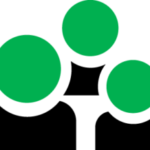 Using a novel advanced cold alkali-based textile fibre production process, the NeoCel process, will be developed in the project by addressing the factors in individual process stages i.e., cellulose activation, cellulose dissolution and fibre regeneration that currently limits the application of cold alkali processes for production of good quality textile fibres. In order to reduce environmental impact and cost, an essential part of the project will be devoted to the system integration with the pulp mill leading to increased energy efficiency and recovery/regeneration of the chemicals for the dissolution and regeneration. This process will be benchmarked against an improved derivatising process (improved viscose). This improved derivatising process should also be integrated with the pulp mill and supplied with more efficient chemicals recovery/regeneration system in order to be a relevant benchmark process. Therefore, simulation and process design calculations will be conducted for the derivatising process as well. Textile fabrics and garment prototypes will be manufactured in order to evaluate the new textile fibre properties throughout the whole chain from fibres up to final product and to collect information for the further process development in the future demonstration phase. 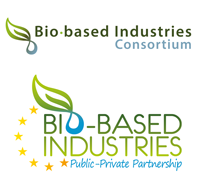 This project has received funding from the Bio Based Industries Joint Undertaking under the European Union’s Horizon 2020 research and innovation programme under grant agreement No 720729.